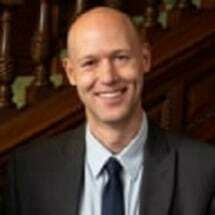 Adam Nicolet has been an attorney at Nicolet Law Office, S.C. since 2013. Adam works primarily out of the Eau Claire branch of the firm and handles personal injury, car accident, slip and fall, wrongful death and bankruptcy cases. “Injuries and debt are stressful enough. Clients shouldn’t have to handle the additional stress of dealing with the insurance company or creditors on their own. I am here to help my clients navigate the legal system and get the help the need." Adam has deep roots in the Eau Claire community; he was born in Eau Claire, and after becoming an attorney he moved back to the area to raise his family and provide legal services to members of his community. Adam currently lives in Eau Claire with his wife, their two children, and their two Golden Retrievers. Why Did You Get Into The Practice Of Law? Adam attended undergraduate at the University of Wisconsin Madison and earned his J.D. at the University of St. Thomas School of Law. Prior to attending law school, Adam served as a legislative intern for Representative Barbara Gronemus at the Wisconsin State Capitol. While in law school Adam not only clerked at Nicolet Law Office, S.C., but he also honed his legal skills while participating in a mentoring program at a major personal injury firm in Minneapolis. This made Adam well aware of the financial and physical hardships that people in Wisconsin and the Twin Cities area often face. Today, he uses that knowledge to provide custom-tailored legal solutions to clients in the Chippewa Valley and throughout Wisconsin. Adam’s family, especially his young daughter, keep him active. When he is not outside going on walks, bike rides, or playing fetch with his dogs, Adam enjoys finding time to just relax with a good movie or book.